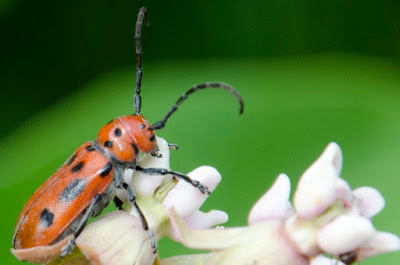 I love Milkweed and its many insect visitors. 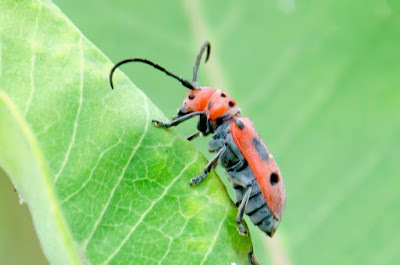 I read an interesting fact about the Red Milkweed Beetle, which feeds exclusively on the leaves of milkweed. The sticky latex of the sap would eventually glue the insect's mouth shut, except that it opens a vein upstream from where it is feeding, in order to stem the flow of sap. Isn't nature amazing?